While still uncommon, very late in life pregnancies have become more and more frequent in recent years due to that experimentation and now a famous name is apparently ready to blast through that ceiling just as she did sixty years ago on the silver screen. 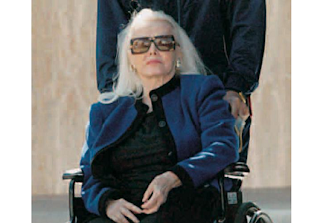 Zsa Zsa Gabor, 94, is finally ready to become a mother. Gabor reportedly had eggs frozen in the 1960’s which Anhalt is currently trying to find. “We are looking, looking through all these stacks and stack of papers. I know the documents are here somewhere and I plan to find them. This is a dream for both of us and something I very much want to make happen not really for myself, but for Zsa Zsa. She has earned this,” said Gabor’s husband Frédéric Prinz von Anhalt. Because of her advanced age and numerous medical issues, the baby will be carried by a surrogate. -- Susan Markens takes on one of the hottest issues on the fertility front--surrogate motherhood--in a book that illuminates the culture wars that have erupted over new reproductive technologies in the United States. In an innovative analysis of legislative responses to surrogacy in the bellwether states of New York and California, Markens explores how discourses about gender, family, race, genetics, rights, and choice have shaped policies aimed at this issue. She examines the views of key players, including legislators, women's organizations, religious groups, the media, and others. In a study that finds surprising ideological agreement among those with opposing views of surrogate motherhood, Markens challenges common assumptions about our responses to reproductive technologies and at the same time offers a fascinating picture of how reproductive politics shape social policy.